Once the sole inhabitants of North America, Native Americans were forcefully and often brutally relocated by white settlers and U.S. government policies to reservations. As of the early twenty-first century, the states with the largest populations of Native Americans are Oklahoma, California, Arizona, and New Mexico. Sometimes called American Indians, the Native Americans lived in dozens of tribal groups—from Abenaki to Zuni—scattered across North America. 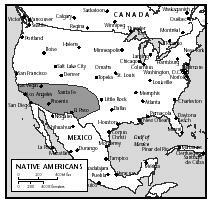 Before Europeans settled North America, Native American tribes lived in five major parts of the United States: the Northeast, the South, the Great Plains, the Pacific Coast, and the deserts of the Southwest. 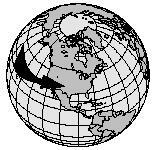 Ancient artifacts show that native peoples fished off the coast of New England as long ago as 3000 B.C. Some Native American tribes were gatherers, eating the fruits and vegetables native to their regions. Other tribes practiced agriculture. They used farming methods that let them grow crops on the same soil for many years. By the time the first white settlers arrived, Native Americans knew how to grow almost 100 different kinds of crops. These were used as medicines and dyes, as well as food. The states with the largest populations of Native Americans are Oklahoma, California, Arizona, and New Mexico. also reduced the animal population by hunting, not only for meat but also for sport and to sell furs and feathers. Yet some Native Americans continued hunting buffalo for food as recently as the end of the 1800s. Various seafood, especially fish, played an important dietary role in the Northeast and Pacific regions. Meat was the central dietary ingredient for the Indians of the Midwestern plains, where large herds of buffalo roamed. Deer and rabbits were also hunted. Native tribes of the Northeast hunted elk, moose, and bears. Corn has always been a sacred food for Native Americans. Different tribes have different names for corn, but all of them mean "life." Corn was the most important dietary staple. It was served at almost every meal. Ears of corn were boiled or roasted over a fire. Corn was also pounded into flour and then cooked as cereal (mush) or baked in bread. Native Americans were also the first people to cook popcorn. According to legend, an American Indian named Quadequina brought a bowl of popcorn to a Thanksgiving dinner in 1621. Pour in the popcorn and cover the pot tightly. Shake the pan once or twice before the corn starts popping. Keep shaking the pan until the popping sounds stop. Take the pan off the stove and pour the popped corn into a bowl. Add topping or seasoning to taste, then serve. Ears of popcorn are harvested by this farmer. The kernels will be removed from the cob later, and packaged for sale. Native Americans introduced both popcorn and wild rice to European settlers. Scoop out the seeds from the squash and cut into small pieces. Trim the peel away from the pieces and place them into a heavy kettle. Add enough cold water to cover the squash. Bring the mixture to a boil, reduce the heat, cover, and simmer until the squash is tender, about 30 minutes. Add the corn to the squash. Stir in the lima beans and continue simmering until the corn and beans are tender, about 15 minutes. Drain the vegetables. Toss them with salt, pepper, and butter. Beans were also an important part of the Native American diet. Fresh or dried, they were cooked in soups and stew, mashed into cakes, and ground into flour. Other popular Native American foods included squash, pumpkins, sunflower seeds, many types of nuts and wild berries, peanuts (first brought to America by the Spanish), and wild rice. (Wild rice is not really rice—it is a type of grass.) Indians of the Northeast tapped maple trees for sap. The sap was used to make maple syrup and maple candy. Chili peppers were also eaten by Indians in the deserts of the Southwest, where the fruit of cactus plants was used to make syrup and jam. Preheat oven to 350° F .
Add water and beans to a large pot. Bring to a boil over high heat, reduce heat, and simmer uncovered for 2 hours. In a small skillet, melt the butter. Add the onions and sauté until golden, about 7 to 10 minutes. Add the onion, salt, maple syrup, dry mustard, and ginger to the beans, and transfer mixture to a large baking pot. Cover the pot and bake in the middle of the oven for 2 hours. Occasionally check the beans and add more water, if necessary. After 2 hours, uncover the beans and bake an additional 30 to 45 minutes, or until all the liquid is absorbed. Let stand about 10 minutes before serving hot. Native Americans had a number of spiritual customs connected with food. The Comanches used to thank the Creator for their food. They would hold a piece of food toward the sky and then burn it as an offering. 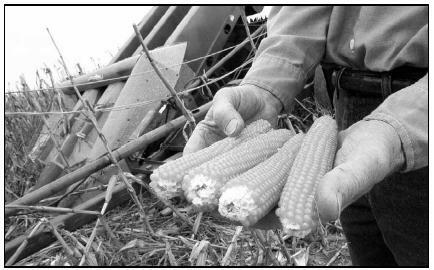 Cherokee medicine men offered a special apology to the Corn Spirit after their people cut down the ripened corn stalks. In the Southwest, hunters tried to inhale the last breath of animals they killed so that the spirit of the animals would be kept alive. Native tribes observed many different food taboos (forbidden foods). The Comanches would not eat fish or poultry. Many Native Americans avoided food that came in pairs because twins were thought to bring bad luck. Native Americans celebrated the corn harvest with feasts, which might last for days. Large amounts of food and drink were consumed. In many tribes, a special festival was held as soon as the corn began to ripen. It was called the Green Corn Festival. For the Creek Indians, this festival was so important that it was considered the beginning of the new year. Other tribes celebrated the raspberry harvest or the killing of the first buffalo of the hunting season. Some native tribes celebrated their bounty with a special festival called a potlatch. The goal of a potlatch was to use up as much of the host's wealth as possible. Guests stayed for days and received lavish gifts. It would be their turn to host a potlatch the next time. Grease a baking sheet with a small amount of oil. Put the corn on the greased baking sheet and bake for 20 minutes. Mix the corn, pumpkin, salt, and honey in a medium-size pot. Heat the mixture over medium heat until it starts to bubble. Turn the heat to low and cook for 10 minutes, stirring from time to time. Serve with grilled chicken or pork. Cut the meat into bite-size chunks. In a large skillet over medium heat, sauté the meat, turning constantly with a wooden spoon. As the meat begins to brown, add the onion and lower the heat. Season with salt and pepper, and add wine or beef stock. Remove the meat and onions to a platter with a slotted spoon. Add the mushrooms to the cooking liquids and cook on medium heat. Reduce heat. Coat meat and onions with flour and return to the pan. Cook for 1 to 2 minutes, until flour cooks, then add the beef stock, salt, and pepper. Simmer until thickened slightly. Ladle into bowls. Serve hot. Preheat oven to 300° F .
In a large bowl, combine sugar, oil, pumpkin, eggs, and water; mix well. In another bowl, mix whole wheat flour, white flour, baking soda, and salt. Add the dry ingredients to the pumpkin mixture and stir until moistened. Pour batter into greased loaf pan. Bake for 1 hour, or until a knife inserted in the center of the loaf comes out clean. Native Americans have always been thrifty cooks. They are known for never wasting any food. In the days when they hunted buffalo, they used almost every part of the animal. Only the buffalo hearts were left behind. This was supposed to help the herd to grow again. Traditionally, Native Americans ate one-course meals. There were no separate courses such as appetizers or desserts. Corn was an important snack between meals. Cherokee Indians ate two main meals a day. In the morning they had cornmeal mush, or cereal. They also ate it in the evening, with meat and vegetable stew or broiled meat or fish. Hospitality has always been an important tradition among Native Americans. Guests were always served first at meals. If an Inuit Indian had only one bit of food, he would first offer it to his guest. Native Americans also made sure that the poor people in their community had enough to eat. Modern Native Americans eat many of the same foods as other Americans. They enjoy everyday foods like hot dogs, hamburgers, potato chips, and ice cream. However, some traditional foods, such as corn, are still important. So are dishes like fry-bread, a popular snack and side dish. Fry-bread is probably the most popular traditional food still eaten by Native Americans. It is served with meals or eaten as a snack or dessert. Combine the flour, baking powder, and salt together in a bowl. Slowly add the warm water while stirring. Continue to add water to make a soft dough. Mix and knead the dough with your hand until it is smooth. Sprinkle with flour if the dough is sticky. Cover the dough with a towel and let it rest for 10 minutes. Break the dough into lemon-size pieces. Roll each piece into a ball and flatten into a pancake. Add as many pieces of bread as will fit in the pan. Fry the pieces on each side until they are lightly browned. Remove the brown fry-breads and place them on a plate covered with a paper towel. Serve the fry-breads with salt or maple syrup. Wash the strawberries and remove the stems and leaves. Cut the berries into small pieces and mash them in a large bowl. Chill in the refrigerator or serve at once. Heat a heavy frying pan on medium heat. When the pan is hot, sprinkle in the cornmeal to dry roast it. Stir until you see the cornmeal starting to turn brown (about 6 to 8 minutes). When it is brown, scrape the cornmeal into a small bowl. Add the honey and cinnamon and mix well. Stir 1 Tablespoon of this mix into 1 cup of boiling water, as the Native Americans did, and let it sit for 10 minutes. Rinse the rice well in cold water. Bring the water, oil, and salt to a boil in a heavy saucepan. Stir in the rice. Reduce the heat, cover, and simmer until the rice pops (about 1 hour). Do not lift the cover while the rice is cooking. Native American families are twice as likely to experience "food insecurity" (defined by the U.S. Department of Agriculture as not having access to enough food to meet basic needs) and hunger as other families. Almost one-third of Native Americans live at or below the poverty level. Poverty is the main reason Native Americans experience hunger, malnutrition, and undernutrition. The Bureau of Indian Affairs reports that unemployment and the remote location of most reservations contributes to a high percentage of Native American children (over 40 percent) living in poverty. The United States Department of Agriculture created the Food Distribution Program on Indian Reservations (FDPIR) in the 1970s to distribute food. However, in the early years of the program, many of the food items distributed (cheese and processed meats) were high in fat. As of the early twenty-first century, the Food Distribution Program has expanded to include lower fat meats, fruit, and vegetables. Carson, Dale. New Native American Cooking. New York: Random House, 1996. Erdosh, George. Food and Recipes of the Native Americans. New York: PowerKids Press, 1997. Lund, Duane R. Early Native American Recipes and Remedies. Cambridge, Minn.: Adventure Publications, 1995. Native American Cookbook: Lenni Lenape Historical Society. Allentown, PA: Museum of Indian Culture, n.d.
Penner, Lucille Recht. A Native American Feast. New York: Macmillan, 1994. Tribal Cooking: Traditional Recipes and Favorite Stories. Lac du Flambeau, WI: Great Lakes Inter-Tribal Council, Inc., n.d.
Books about Native American food. [Online] Available http://www.astuk.com/products-bykeywords/native-american-food.html (accessed April 17, 2001). The Cooking Post. [Online] Available http://www.cookingpost.com/ (accessed April 17, 2001). National Bison Association. [Online] Available http://www.nbabison.org/membership/sale.html (accessed April 17, 2001). Native American Cooking. [Online] Available http://www.councilfire.com/ntvfoods.htm (accessed August 1, 2001). Native Way Cookbook. [Online] Available http://222.wisdomkeepers.org/nativeway (accessed August 1, 2001).